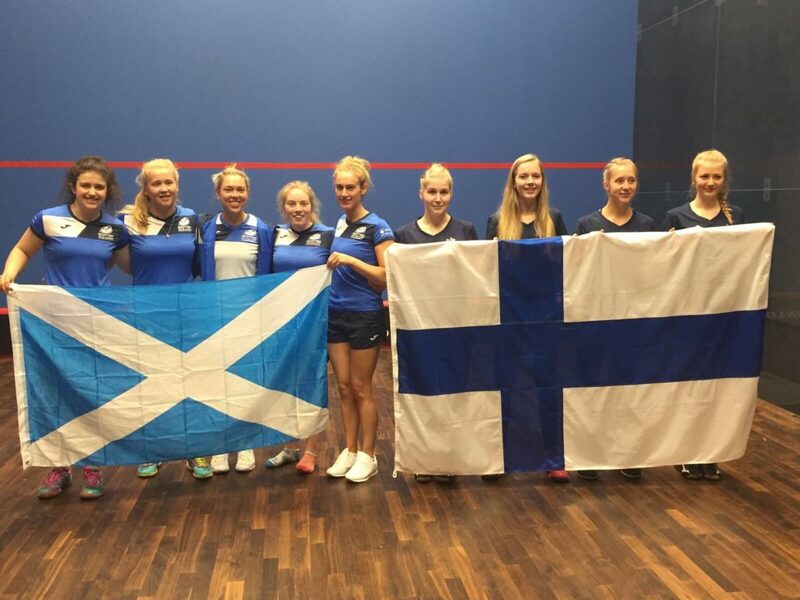 Scotland’s women have secured promotion back to the top flight of European squash after a resounding win over Finland earlier today (Friday) at the European Team Championships in Wroclaw, Poland. The 3-0 victory also seals their place in tomorrow’s Division Two final where they will take on top seeds Spain at 8am UK time. Alison Thomson got the third seeded Scots off to a winning start, powering past Emilia Korhonen, 11-4, 11-4, 11-6. 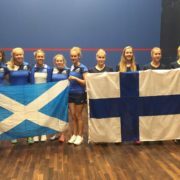 In the second match, Lisa Aitken displayed her fighting qualities, turning round a 1-0 deficit to come through in four games, 11-9 6-11 2-11 5-11 against Emilia Soini. Georgia Adderley then completed the clean sweep beating Riina Koskinen in their dead rubber match. Spain beat Denmark in the other semi-final and are also unbeaten heading into Saturday’s final. It means Scotland’s women remain unbeaten in Poland having already defeated Ireland, Russia and Denmark in the group stages as they make a return to Division One for the first time since 2012. Scotland’s men’s (4) also secured a victory this afternoon, seeing off Czech Republic (6) in a 5th-8th place match, 3-1. 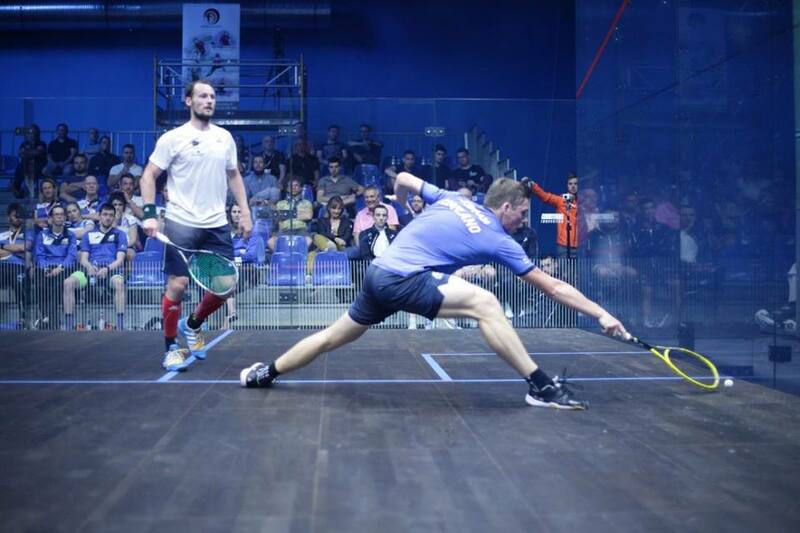 Rory Stewart claimed the opening win in the tie against Viktor Byrtus, 11-8 11-5 11-5 before Greg Lobban comfortably saw off Daniel Mekbib 11-5 11-4 11-4. Kevin Moran lost to Ondrej Uherka 6-11 8-11 2-11 but Alan Clyne sealed the tie courtesy of an 11-6 11-6 8-11 11-7 victory against Martin Svec. Next up for the men is a clash with Celtic rivals Wales (7) on Saturday morning, 10am UK time. Full results and draws can be found here. Live streaming from the two show courts on Saturday can be viewed here. 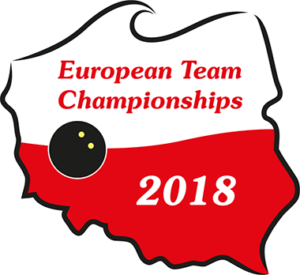 Full Scotland Squad for the 2018 European Team Championships, May 2-5 at the Hasta La Vista Sport Center in Wroclaw, Poland. Women’s Team: Lisa Aitken, Georgia Adderley, Katriona Allen, Robyn Young and Ali Thomson. Men’s Team: Alan Clyne, Greg Lobban, Kevin Moran, Rory Stewart, Stuart George and Chris Leiper.